Providing a convenient way to attach gloves to the person when not in use, the Portwest Red Glove Clip A001RE (Pack of 40) provides workers with confidence and peace of mind when removing their gloves. 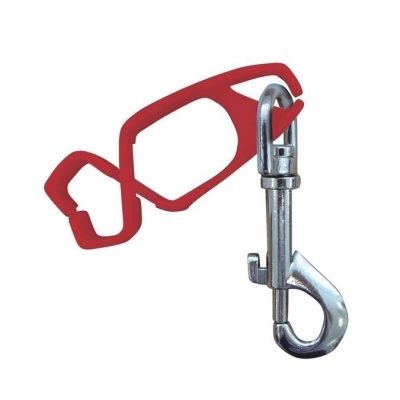 Helping to reduce the occurrence of injuries and limit costs relating to glove replacement, these glove clips are an essential for trade businesses small and large. There are many occasions where workers may be required to remove their main pair of work gloves – for example when operating precision machinery. The Portwest Glove Clip allows gloves to be quickly and easily stored on the user's person, preventing them from being lost and encouraging the worker to equip them when they are needed again. This is particularly important for altitude workers such as scaffolders and tree surgeons, where gloves can become inaccessible if dropped.